University of Toronto Press, 9781442611085, 391pp. Recent events in the western hemisphere have led to a dramatic shift in the strategic and political importance of Latin America. But with relations still cool between the United States and Cuba, and Venezuela becoming more distant every day, there is considerable potential for Canada - with its longstanding commitment to constructive engagement - to forge mutually beneficial relations with these nations as well as rising industrial and economic players such as Mexico and Brazil. 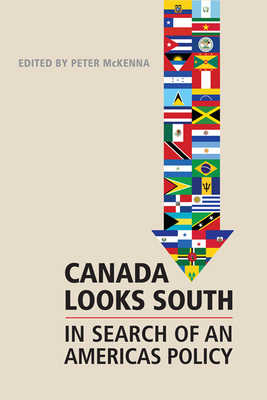 In Canada Looks South, experts on foreign policy in Canada and Central America provide a timely exploration of Canada's growing role in the Americas and the most pressing issues of the region. Starting with the historical scope of the bilateral relationship, the volume goes on to cover such subjects as trade engagement, democratization, and security. As current and future Canadian governments embrace expanding linkages with this region, this collection fills a significant gap in scholarship on Canadian-Latin American relations.